Many people have already incorporated the Pet Protection Agreement pet trust into their portfolios. See just some of the comments that people are saying about how easy and powerful this pet trust is for protecting your pets. Couldn’t have been easier! I got through all the questions, no problems, in about 20 minutes. I feel such a sense of relief about my pets. What a great idea! We didn’t even think about our pets when we did our Will last year. We took care of that today by getting the Pet Protection Agreement for our Newfie and her pup. Great! The value of your product can’t be beat. The cost is so low and the benefits are so great, I hope every pet owner does like us and gets the Pet Protection Agreement for the animals they love. N. & R. Brewer, Minneapolis. The price was irresistible. The questions were fun because I like talking about my animals. 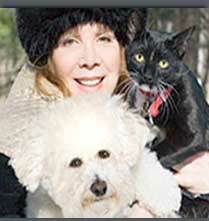 Pet Protection Agreements for our two dogs and our Siamese was quick and easy. I’m not so good on the computer but I was delighted by how easy it was to fill-in your form for Ruffian (my Airedale). She means the world to me. What a relief! We only recently got around to doing our own Wills. By comparison, the Pet Protection Agreement was a “walk in the park.” Quick and straightforward - a great product! S. & T. Barker, Portland. I was pleasantly surprised at how thoroughly your instructions and “help buttons” explain every step. R. & L. Manning, Lake Charles. I a question when I filled out the Pet Protection Agreement on your Web site. The answer was right there, on the same page! I was very pleased by how quickly I could get protection for my Burmese. A totally painless experience…easy questions, plenty of help, everything well thought out. I feel such relief that my Corgis will be well cared for. Our lawyer never mentioned our Abyssinians when he talked to us about planning our estate. We have handled the pet part ourselves with your excellent Pet Protection Agreement. Thank you! C. & L. Lane, Daytona Beach. A very original and very useful product! I now have Agreements for my twin Lhasa Apsos. The whole process took only about 15 minutes. Wonderful! 20 minutes, maximum! I enjoyed answering the questions about my Sheltie mix. I finished the form without a single problem and feel like I’ve accomplished a lot for “Beauty”. A superb product and so easy to obtain. We jumped at the chance to make sure our pets get the care we want for them. (Three rescued mutts – who have suffered enough - and a pair of kittens). Everyone should do this! E. & D. Harvey, Kansas City.